Placed in a raised yard, which left room for three underpasses, this station building is an assemblage of more or less freestanding volumes in steel and glass. Sunk partly below the platforms, its design was kept as narrow and as transparent as possible so as to achieve the right urban profile. 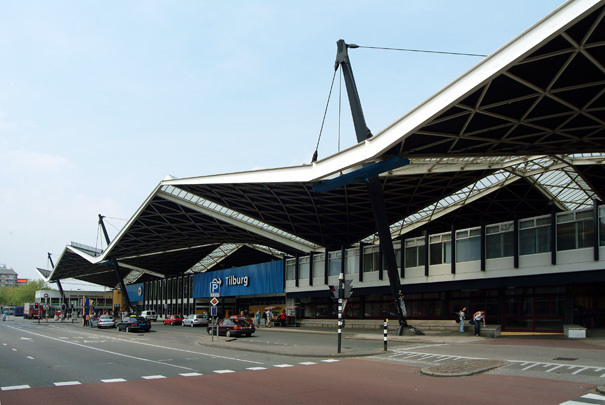 The roof consists of twelve hyperbolic paraboloid shells (21 x 21 m.) sustained at ten points, three steel columns at each side and four concrete supports on the central platform.